Bill Emmott è stato il direttore di The Economist dal 1993 al 2006. Ha iniziato la sua carriera presso il settimanale nel 1980 ricoprendo i ruoli di economics correspondent a Londra, in Giappone e in Sud Corea, finance e business affairs editor, e infine direttore nel 1993. Ha pubblicato dieci libri in tutto il mondo, principalmente in Europa e in Giappone, tra i quali The Pocket Economist (1983) con Rupert Pennant-Rea, The Sun Also Sets: the limits to Japan's economic power (1989), Japan's Global Reach: the influence, strategies and weaknesses of Japan's multinational corporations intitolato anche Japanophobia (1992), Kanryo no Taizai (1996), Hiwa Mata Noboru (2006), Japan's new golden age--of the next ten years (2006), Japan's Choices (2007), Sekai Choryu no Yomikata (2008), 20:21 Vision – 20th century lessons for the 21st century (2003) e Rivals: How the Power Struggle between China, India and Japan will Shape our Next Decade (2008). È opinionista di cronaca internazionale per The Times e il Corriere della Sera ed ha scritto per diverse altre pubblicazioni in Giappone, India e Brasile. Ha ricevuto numerosi riconoscimenti e premi per il suo lavoro, tra i quali il premio È giornalismo nel 2003, diventando il primo vincitore non italiano. Il suo ultimo libro Forza, Italia: Come ripartire dopo Berlusconi è stato pubblicato nel ottobre 2010. 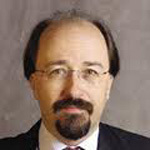 Bill Emmott was editor of The Economist from 1993 until March 31st 2006. He is now an independent writer, speaker and consultant, based in London and Somerset. In 1980 he joined The Economist's Brussels office, writing about EEC affairs and the Benelux countries. In 1982 he became the paper's economics correspondent in London and the following year moved to Tokyo to cover Japan and South Korea. In mid-1986 he returned to London as the finance editor; in January 1989 he became business affairs editor, responsible for all the paper's coverage of business, finance and science. He was appointed to the editorship of The Economist in March 1993. He has published ten books. The first he co-wrote with Rupert Pennant-Rea The Pocket Economist (1983), part of The Economist series of pocket guides. Seven of Bill's books have been on Japan, with four of those published only in Japanese translation: The Sun Also Sets: the limits to Japan's economic power, (1989), Japan's Global Reach: the influence, strategies and weaknesses of Japan's multinational corporations or Japanophobia (1992), Kanryo no Taizai (The bureaucrats' deadly sins) (1996), Hiwa Mata Noboru (2006), Japan's new golden age--of the next ten years (2006), Japan's Choices, or Nihon no sentaku (2007), Sekai Choryu no Yomikata (Reading the World's Currents) (2008), 20:21 Vision – 20th century lessons for the 21st century (2003), Rivals: How the Power Struggle between China, India and Japan will Shape our Next Decade (2008). Bill writes regular columns on international affairs for The Times in Britain and for Italy's daily newspaper, the Corriere della Sera. He has also written frequently for periodicals in Japan, Brazil and India. He has been assigned countless journalism and lifetime achievement awards in Britain and abroad. Emmott is chairman of the trustees of the London Library; a director of eAccess, a Japanese mobile telecoms company; a member of the Swiss Re Chairman's Advisory Panel; an adviser to JR Central, Japan's premier high-speed railway company; a member of the President's Council of the University of Tokyo; a member of the board of the Salzburg Global Seminar; and co-chairman (with the Hon Roy MacLaren) of the Canada-Europe Roundtable for Business. He was a board director of The Economist Group from 1993 until 2006, and a non-executive director of Development Consultants International, a Dublin-based company, from 2006 until 2009. He has honorary degrees from Warwick and City universities in Britain and Northwestern University in America, and is an honorary fellow of Magdalen College, Oxford. His latest book Forza, Italia: Come ripartire dopo Berlusconi was published in October 2010.